The European Union unveiled a strategy last week to become the world’s first climate neutral economy by 2050, generating a positive momentum ahead of the COP24 in Katowice, writes Luca Jahier. Luca Jahier is the president of the European Economic and Social Committee (EESC), a consultative body of the European Union established under the EU treaties. Climate change is all but an environmental issue: it is a unique business opportunity as rightly pointed out by the document. This is why the Commission must double the bet and unveil an ambitious reflection paper on the win-win Agenda 2030, which would complement last week’s decision. The UN’s Sustainable Development Goals were agreed in September 2015, providing the world with a blueprint to achieve a better and more sustainable future for all. They are universally applicable and present a unique opportunity for global leaders to unfold a forward-looking vision, built on the values of solidarity and human rights, social justice, equality, democracy and participation, entrepreneurship and environmental responsibility. The challenges we face today are numerous, unprecedented and they are rapidly reshaping the world we live in. The word we hear more and more is “urgency”. We need to act now. There is no time to lose. There is no plan B. The UN’s Intergovernmental Panel on Climate Change (IPCC) report, published on 8 October, states very clearly: either we act now to limit global warming to a 1.5°C increase; or the consequences will be disastrous. We all need to change our behaviour and our way of living. “Business as usual” is not an option, not for citizens, governments or businesses. But we must also see this challenge as an opportunity to consolidate the transition to a sustainable model of development. Europe needs to lead the way and set an example in the international arena by taking action in global supply chains. The real question here is if we are leading this change or whether others will do. Take batteries, for example. As of 2025, Europe’s battery sector will be worth €250 billion annually but currently, Europe is lagging behind as it is lacking a call manufacturing base. And Europe is also lagging behind in other sectors linked to sustainability: we can think of the production of electric cars and possibly of other sectors. Sustainable development should underpin all transformations that will shape the Europe of tomorrow, such as the fourth industrial revolution, the transition to a circular and low-carbon economy, growing challenges to EU values, threats to peace and stability on the EU’s borders and many others. Businesses have an opportunity to be the source of collaborative innovation, riding the wave of the digital revolution to create sustainable business practices and new standards. Sustainable development is also an opportunity to create decent work conditions as individual suppliers and clusters of businesses can contribute to the elimination of unlawful or unruly work conditions, worker rights, human rights and child labour. But we know all too well that achieving sustainable development can only become a reality if we all pull in the same direction. The actions of some must become the actions of all. Business must be fully involved and mobilised in relation to the future EU Sustainable Development Strategy as well as trade unions civil society and local authorities. The implementation of the Sustainable Development Goals (SDGs) is a joint responsibility of all. SDG 17 (revitalise the Global Partnership for Sustainable Development) specifically refers to the role of civil society and states that: “a successful, sustainable development agenda requires partnerships between governments, the private sector and civil society”. This is why coordinated, multi-stakeholder approaches to achieving these goals are essential. This is why we need a new governance mechanism that takes everyone on board. Public consultations are not enough. We need to embed participation and engagement into the policy-making and –implementation processes. Europe must be sustainable – or it will simply not be. 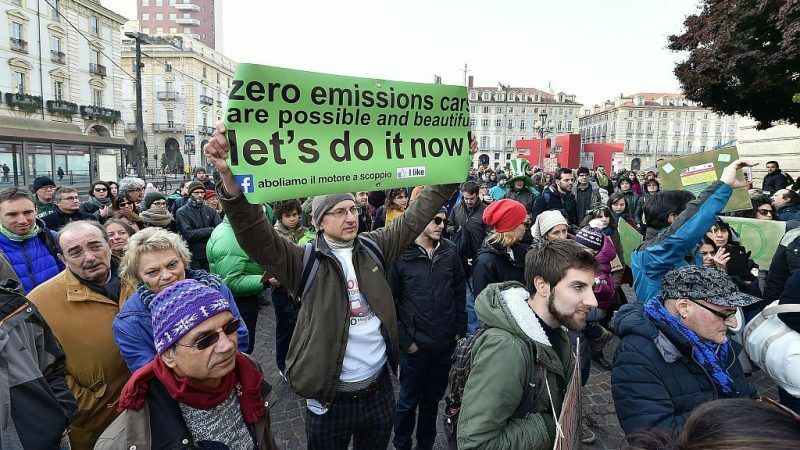 Civil society has always been a strong advocate of Agenda 2030, which it believes it must become the win-win strategy of the next decade as it allows to weld economic, environmental and generational imperatives for the European Union and the world. The report recently adopted by the Multi-Stakeholder Platform on the implementation of the Sustainable Development Goals (SDGs) should be the base of inspiration for the Reflection Paper “Towards a Sustainable Europe by 2030” that the European Commission must adopt before the end of the year, in order to craft the positive narrative needed for the EU elections campaigns. It is vital that the Reflection Paper is ambitious enough to respond to the enormous challenge that we are facing by calling for a comprehensive EU Sustainable Development Strategy, which will integrate the SDGs into EU governance and all policies (including trade) and programmes. I think everyone can understand that climate change is the leading cause of a host of related issues. Within this understanding, we have to tackle emissions – and this means we have to look at our energy system. This system is in large part comprised of natural gas; both to match daily demand and for heating and industry – and soon transport. What this means, in effect, is that we know what we need to do. Yes building refueling stations supplied by off-peak renewables has the potential to greatly reduce the cost of transport. But it is natural gas for heating, grid balancing and industry that remains the elephant in the room. This large energy demand would need somewhere in the region of twice the capacity of renewable electricity just to supply gas alone via electrolysis, if we consider an 80% conversion efficiency to zero carbon gas. Perhaps slightly less – gas and electricity tend to be equal in usage throughout the EU at a TWh scale – France being exactly equal. It seems unlikely that we will double (or triple) the electricity capacity of each member state within 30 years; all via renewables. To replace natural gas, we need to think about the cost of CCS vs the cost of inaction. If we are not able to use CCS (or at the very least, a very large quantity of electrolysis – again); then we are not going to decarbonise. Eurelectric are confident they will achieve 100% decarbonisation ‘well before’ 2050. However, they provide a very low figure for what they call ‘indirect electrification’; about 15-20% in all scenarios. Its my opinion that we need a lot more than this. And to provide the energy currently met by natural gas (again, its the same as the TWh figure for electricity in most MS) – we either need fully *twice* the electricity capacity in grid additions to provide electricity for power-to-gas; or we need CCS. The advantage of CCS is that it lays the groundwork; it is immediate; the business case and model is very similar to the one we have already, and the cost can be met with Emissions Trading funding. So I see no reason to delay – we need to decarbonise gas, we can decarbonise gas and the most realistic means of achieving this is to accept that we will not bridge this gap entirely by RE capacity additions: so we need a combination of CCS and PtG. This is the only practical & achievable way of decarbonising gas. If we do not accept this, we accept that we are not going to reach our emissions objectives – or keep listening to Eurelectric, and see what happens.